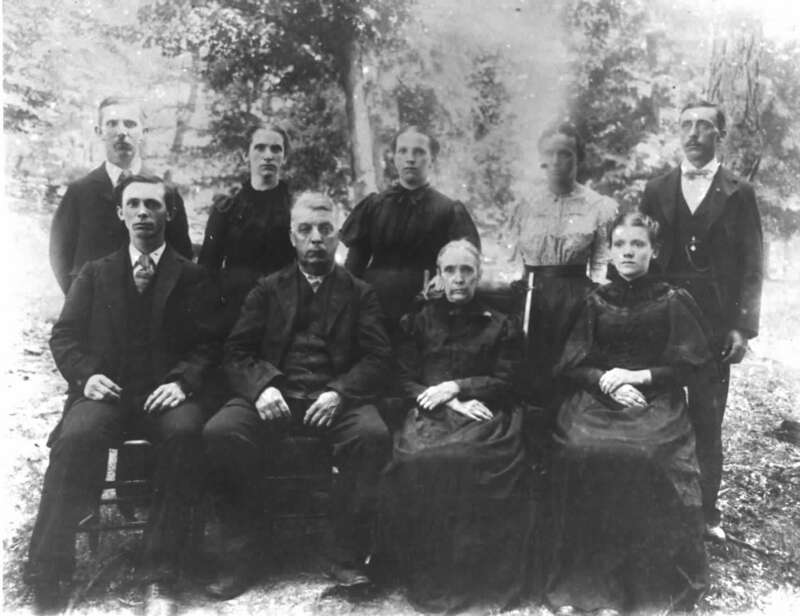 Comments: Asbury Hiram BURCH (Nee: ) | IN USA | 1851-1900 | Comments: BURCH family: (back L to R) Hiram Asbury, Mary Jennie, Sarah Elizabeth, ?, Forest Preston (front L to R) Isaac Peter, William, Susan L. STORM, ? The two unknown women are sisters: Margaret Olive & Martha Matilda. Which is which? Taken abt 1895-1900.